On the occasion of its 75th anniversary, the Botanical Society of China (BSC) held its 14th plenary conference & 75th annual meeting in <?xml:namespace prefix = st1 ns = "urn:schemas-microsoft-com:office:smarttags" />Lanzhou from July 13 to 15. Prof. Dr. Cao Min, deputy director of XTBG, headed up a 14-person group to actively participate in the academic meeting. The meeting brought together over 800 representatives from universities and research institutions worldwide. XTBG participants made presentations at different sessions. 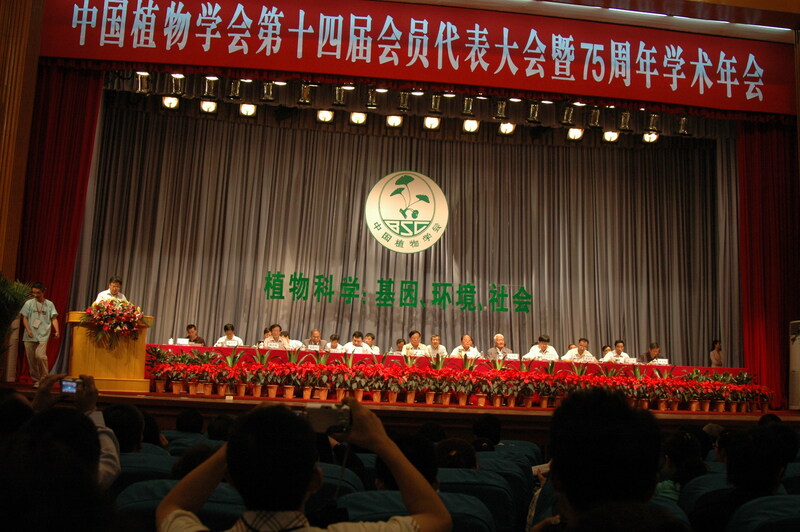 New board of Botanical Society of China was elected. Prof. Dr. Chen Jin became member of the Board. Academician Wu Zhengyi, who won top science prize in 2007, was recognized with Lifetime Achievement Award by BSC, in honor of his prominent contribution.